Each man must love his wife as he loves himself and the wife must respect her husband (v.33). 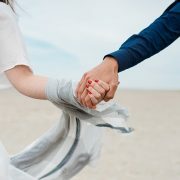 Renowned Christian writer Dallas Willard wrote: “The aim of God in history is the creation of an all-inclusive community of loving persons, with Himself included in that community as its prime sustainer and most glorious inhabitant.” Marriage is one way God continues to create this community. 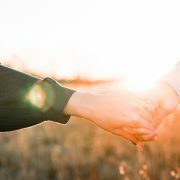 Paul commenced his instruction on marriage by affirming a mutuality and oneness between husband and wife: “Submit to one another out of reverence for Christ” (v.21). The husband’s loving posture towards his wife and the wife’s loving posture towards her husband shouldn’t be primarily movements towards their human partner, but acts of worship towards God. Paul is pointing to the reality that God is at the centre of real marriage. 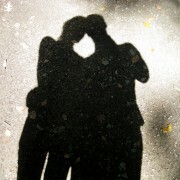 With God at the centre, however, he understands that the husband and wife surrender themselves to one another in a way that is unique for each. Even with their uniqueness, what should be common between the husband and wife (and in fact common between everyone in every relationship within the kingdom of God) is its cruciform (cross) shape. The husband’s love for the wife and the wife’s love for the husband should reflect the love of Jesus for us. Our lives are to be poured into the mould of His cross. Continue reading Paul’s instructions to those in various relationships (Ephesians 6:1-9). How does his call for sacrificial love continue? If you’re married, how does Jesus’ cross call you to a living and dying love? If you’re not married, how is God calling you to give away costly, sacrificial love? 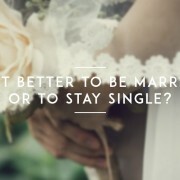 Is It Better to be Married or to Stay Single?